Though he began his career as a DJ and news reporter for WPGU in the 1970s, Charlie Meyerson says switching from radio to the Internet was his ultimate leap of faith – and his most worthwhile career move. 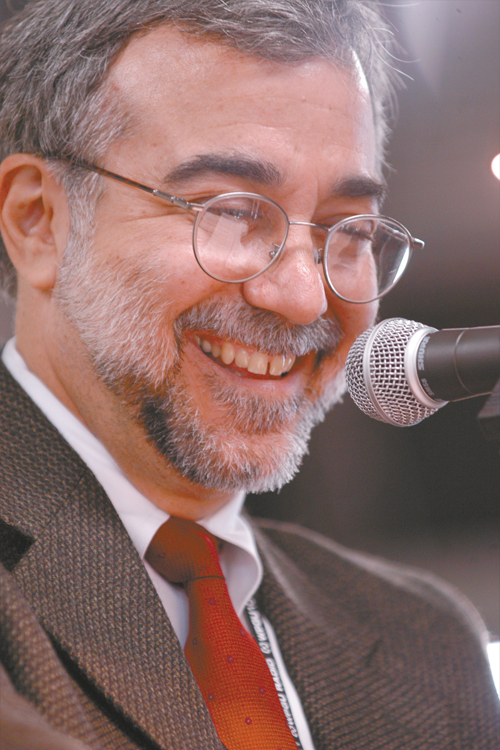 Years before the Internet craze struck many of his colleagues, listeners and readers, Meyerson became convinced the Internet was the best tool for journalists who believed in the power of stories told well. When he left Chicago’s airwaves after almost 20 award-winning years at WXRT-FM and WNUA-FM, Meyerson went to work at the Chicago Tribune’s Web operation, rising to his current position as a senior producer and Daywatch columnist at chicagotribune.com. Meyerson has also dedicated himself to helping students and aspiring journalists. From his first job at WMRO-AM/WAUR-FM in Aurora, Ill., to the Chicago Tribune’s newsroom, he has mentored students in all mediums and convinced them his mantra — “This is the best time in history to become a journalist” — really is true. And Illini Media students have benefited as well: Meyerson has lent his talents to a number of events, graciously given tours and hosted students at the Tribune. This bio was written at the time of Charlie Meyerson’s inauguration into the 2008 Illini Media Hall of Fame.